The Global Tuberculosis Institute at Rutgers, The State University of New Jersey is one of four National Tuberculosis Centers of Excellence funded by the Centers for Disease Control and Prevention. 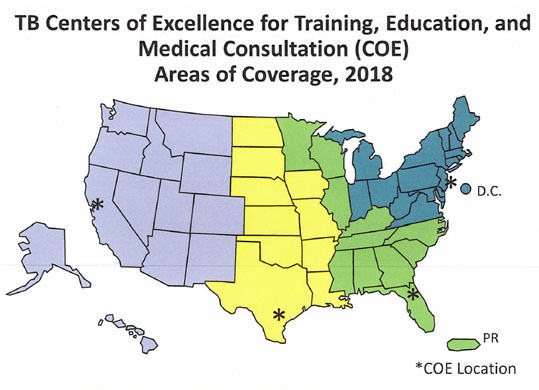 Our COE provides training, technical assistance, and medical consultation to healthcare professionals throughout 20 project areas in the Northeastern United States. 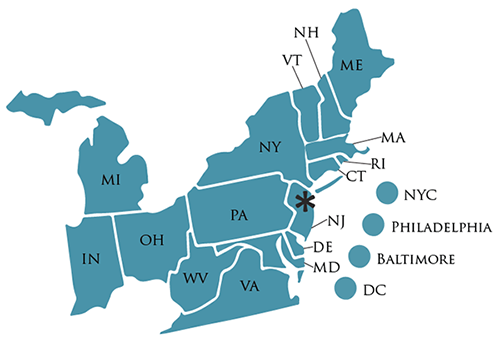 Our region includes the following states and big cities: Baltimore, Connecticut, Delaware, Indiana, Maine, Maryland, Massachusetts, Michigan, New Hampshire, New Jersey, New York City, New York State, Ohio, Pennsylvania, Philadelphia, Rhode Island, Vermont, Virginia, Washington, DC, and West Virginia.